As a local real estate agent of Honolulu, Robert Hoashi is dedicated to providing service to families seeking single family homes, condominiums and town homes in Hawaii. He specializes in International Real Estate transactions, for foreigners interested in the Hawaiian real estate market. 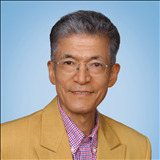 He has been awarded the title SRES (Seniors Real Estate Specialist)、e-Pro Certificate and MRP (Military Relocation Professional), RSPS (Resort & Sencond -Home Property Sepecialist) by the National Association of Realtors for his expertise in real estate transactions for those who are seniors, who need U.S. Military relocation programs and who're interested in investment in resorts and second-home. In 2014 Robert Hoashi retired from Yamanashi Prefectural University as Professor in Accounting. Robert first became a CPA Certified Public Accountant in 1986, practicing accounting and audit at Arthur Anderson & Co., Coopers & Lybrand and soon after opened his own accounting firm in Los Angeles, CA.